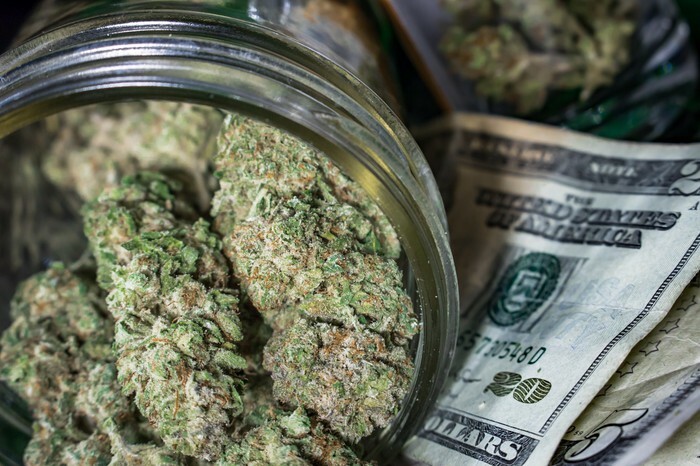 Over the next four years, there's arguably no industry that's expected to grow faster and more consistently on a global scale than the legal marijuana industry. Between 2018 and 2022, Arcview Market Research and BDS Analytics have called for a compound annual sales growth rate of 26.6%, leading to $31.3 billion in revenue by 2022. This growth is a big reason why marijuana stocks have been so popular. Of course, no pot stock has been more popular or polarizing than Aurora Cannabis (NYSE:ACB), which is a favorite among millennial investors. When operating at full capacity, Aurora is very likely going to lead all growers in peak annual production, with yours truly forecasting 700,000 kilos a year, assuming ICC Labs' existing projects in South America continue to be developed. This is also a company that has managed to expand its operations, either through distribution or production, into 24 countries, which is far more than its peers. Moving into overseas markets might seem like no big deal for the time being, especially with growers struggling to meet the demand needs of the Canadian market, let alone international markets. However, when other growers are operating at peak capacity by 2021 or 2022, there's a very good likelihood that we'll see dried cannabis oversupplied and commoditized in the Canadian market. These overseas sales channels will ensure that Aurora Cannabis isn't ransacked by a decline in domestic per-gram dried cannabis flower prices. But what you may not realize about Aurora Cannabis is that is that its business model isn't as cut-and-dried as you might think. In other words, it has a lot of ways, and geographic means, by which to generate revenue. Let's take a closer look at the company's fiscal second-quarter operating results to get a better idea of how all of these sales channels tie into one another. Where did this CA$54.18 million derive from, geographically? According to the company's SEDAR filing, CA$49.77 million in sales (91.9%) came from Canada, as you might have expected. Health Canada has made clear that it would prefer growers satisfy domestic demand first before exporting cannabis to international markets. The remainder was generated from the European Union (CA$3.27 million) and every other country not located in the EU (CA$1.14 million), such as Australia, Mexico, and the Cayman Islands. It's worth noting that not all of the 24 countries that Aurora has distribution or production deals with allow medical cannabis patients to smoke dried cannabis. Therefore it's important for the company to offer a line of alternative products, such as oils and softgel capsules. Now that you have a better idea of where the money is flowing in from geographically, let's break it down further to determine which operating segments are providing the biggest boost. As you'd expect, selling cannabis and cannabis-related products provided the bulk of Aurora's revenue, but not all of it. In the second quarter, CA$25.99 million (48% of total sales) was recognized by the medical marijuana segment, with CA$21.58 million (40% of total sales) going to the consumer (i.e., recreational) segment. For the medical segment, 59% of revenue came from dried cannabis flower sold in Canada (CA$15.41 million), with an additional CA$2.85 million of dried flower sold in the EU. Extracts (i.e., oils and other alternatives) accounted for just shy of 30% of total medical marijuana sales at CA$7.73 million, but this figure wasn't broken down by region. Although medical marijuana offers a smaller patient pool than recreational pot, the margins are considerably higher with medical patients since they're far more willing to buy alternatives products. Plus, according to the fourth-quarter National Cannabis Survey, medical patients use marijuana more frequently than adult-use consumers. Newfoundland and Labrador, Yukon, and the Northwest Territories: 1%. Essentially, Ontario, Quebec, and Alberta accounted for 4 out of every 5 Canadian dollars in adult-use revenue. These are three highly populated provinces (relative to Canada's Atlantic provinces), but interestingly enough the adults in these provinces tend to use cannabis less often than Atlantic-based provinces like Nova Scotia, Newfoundland and Labrador, and Prince Edward Island, according to the National Cannabis Survey. Additionally, we learn that a majority of this CA$21.58 million in revenue was dried cannabis flower (CA$18.8 million), with only CA$2.79 million in extracts sold to adult-use consumers. This is a big reason behind Aurora's decision to focus on the medical marijuana community. The remaining 12% of total sales, approximately CA$6.6 million, were generated from Aurora's ancillary revenue channels. Some CA$3.44 million came from its horizontally integrated businesses, CA$1.23 million derived from analytical testing services, and CA$1.93 million came from patient counseling services. Unlike previous quarters, the company didn't recognize any revenue from its design, engineering, and construction services in the latest quarter. 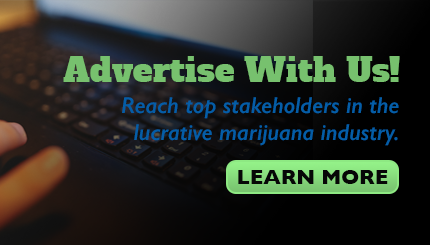 Most marijuana growers don't have ancillary revenue channels, which is another factor that makes Aurora Cannabis unique. While I'd be surprised if recreational revenue didn't surpass medical marijuana sales in the upcoming quarter due to strong demand in Canada, Aurora's stated focus on medical cannabis patients should make its operating results markedly different from its peers in the quarters and years ahead.